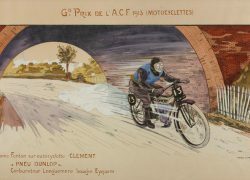 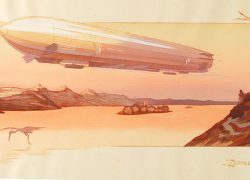 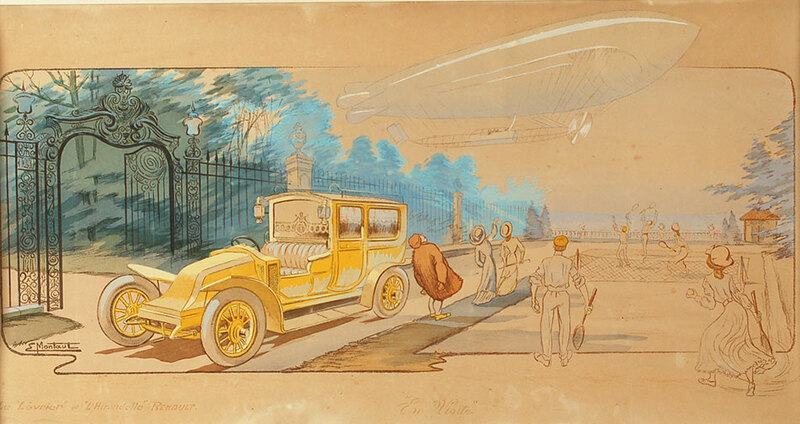 Ernest Montaut could easily be considered the father of ‘motor speed’ and Mecanic Art. 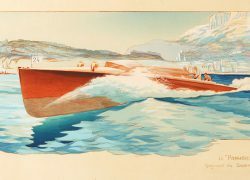 He has invented numerous artistic techniques, such as speed lines and the deliberate distortion of perspective through bending and foreshortening of the image, to capture speed and create the impression of movement in his paintings. 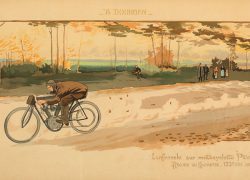 Some of his techniques are still used by contemporary artists today. 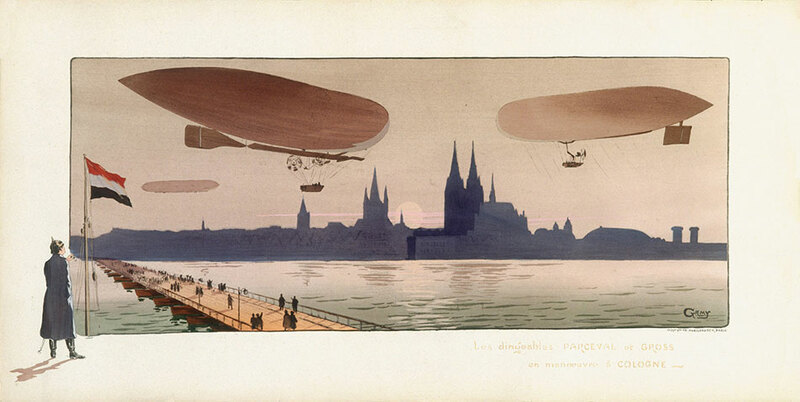 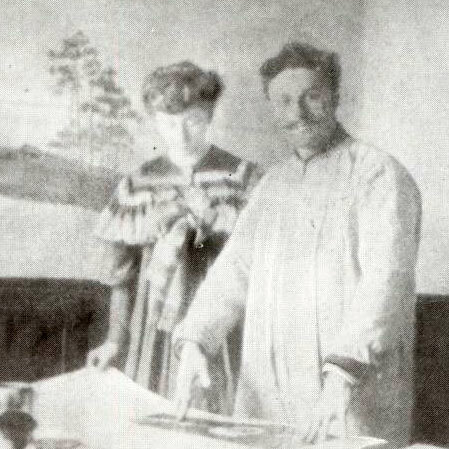 Montaut began his career in the late 19th century in printmaking. 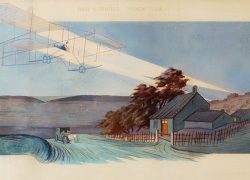 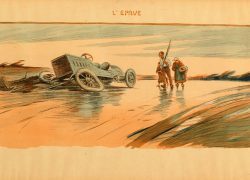 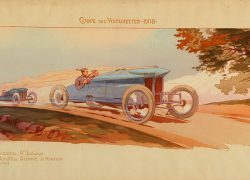 His lithographic prints portray daring action, drama, speed and adventure; windy mountainous roads covered at great speeds by the newly invented automobile. 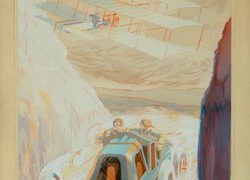 Mechanics and drivers pushed to their physical limits and endurance in an attempt to master control over these monstrous machines. 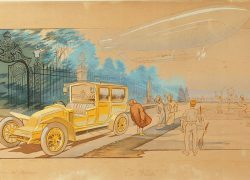 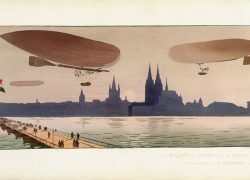 Limousines with chauffeurs, glamour, fashion, excitement set against scenic surroundings are recurring themes in Montaut’s lithographs. 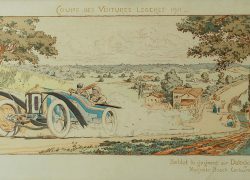 Most of Montaut’s printed outlines include the artist’s name, year of publication, a description of the image or event and the name of the printmaker ‘Mabileau & Cie.’ Many of the prints also promote certain brands of tires, carburettors, and magnetos, which may well have been funded by their producers. 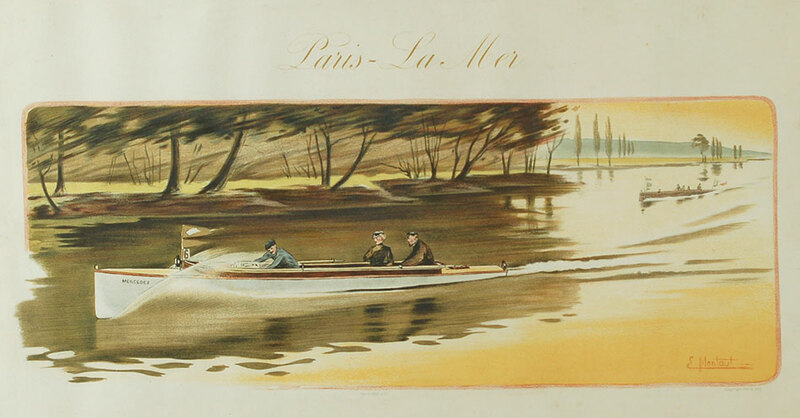 Outlines were printed using lithographic stone, and were then painted by hand using watercolours. 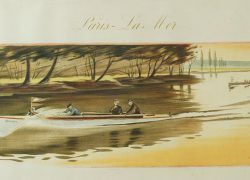 The use of different artists to hand paint the outlines explains the noticeable differences in colour between similar images. 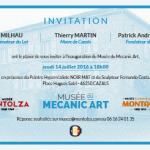 Today, Montaut’s prints are considered to be true works of art. 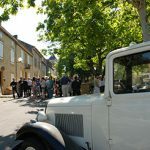 Check in your spam box if necessary!